Despite several players already at Augusta National warming up for the Masters, the field at the Shell Houston Open is a strong one. In fact, 12 of the top 21 players in the Official World Golf Rankings are in the field. The Valero Texas Open wasn’t exactly a fun experience for daily fantasy players who had players in the Thursday morning wave as the wind made the course extremely challenging. We’ll start providing some weather updates on Wednesday evening if you should be trying to target the Thursday morning/Friday afternoon or the Thursday afternoon/Friday morning wave of golfers based on the projected weather. Furthermore, unlike other sports where most contests start when everyone is awake, if you wake up at the crack of dawn on the East Coast, you can edit your lineup to do this if you prefer to wait until the most accurate weather predictions possible. Most daily fantasy players don’t do this since contests start at an odd hour and they don’t think of it. But for now, we’ll focus on what we know, and those are the details of the tournament. As usual, Golf Club of Houston is the home of the event. The winner at Houston usually goes pretty deep, sometimes 20-under par or better. There are certainly eagle opportunities, and length is especially beneficial. At the same time, we do have some players with an advantage with odds per dollar. It’s not a huge advantage (spoiler: there are some great ones with the Masters), but we can use it to combine with the longer hitters. No. 4, 566 yards, Par 5 – Despire only 12 eagles being converted here over the last four years, it’s one of the easier holes to eagle if you choose the longer hitters. As long as you avoid the native area and the bunker on the left, you have a shot to go for the green in two. THere’s water left of the green and a bunker protecting the front-right of the green, so longer hitters will have the possibility of hitting a long iron or utility club into the green. Shorter hitters likely won’t want to run the ball up the narrow passage onto the surface. No. 8, 557 yards, Par 5 – The easiest hole to eagle as there have been 38 of them in the last four years. As long as you find the fairway, you’ll have an opportunity to hit this fairly large green. There is water on the right and a bunker protecting the front-left of the green. Most hitters should be able to go for two here, but again, the longer hitters have the edge. No. 12, 338 yards, Par 4 – The one is fun. There’s water going down the right side of the hole and there is a bunker protecting the front-left of the green. However, going into the bunker isn’t a bad situation unless one of the pins is tucked in behind it. This is also a fairly deep green and the hole is essentially designed to encourage players to go for the green. I’m sure one of the days the crew will move the tees up, but at 338 yards, length is required. No. 13, 590 yards, Par 5 – With 20 eagles here in the last four years, we have another great opportunity for longer hitters here. Accurate second shots can hop onto this accessible green. Although there’s a larger bunker protecting the back-right of the green, so I suspect we’ll see all the eagles come on just one or two of the days. No. 15, 608 yards, Par 5 – Probably the toughest hole to eagle since it’s the longest and there have only been five in the last four years. The second shot is just straight away to the green, but you need to be able to rip two good ones to have a chance. Any other eagles will be luck. Paul Casey $8,000 (THU a.m./FRI p.m.) – 30th in driving distance, 25th in birdie or better percentage and is slightly advantageous in odds per dollar. 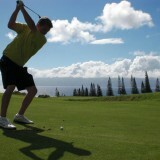 Casey also just made the field at the Masters, so he will be looking to sharpen his game at full strength. 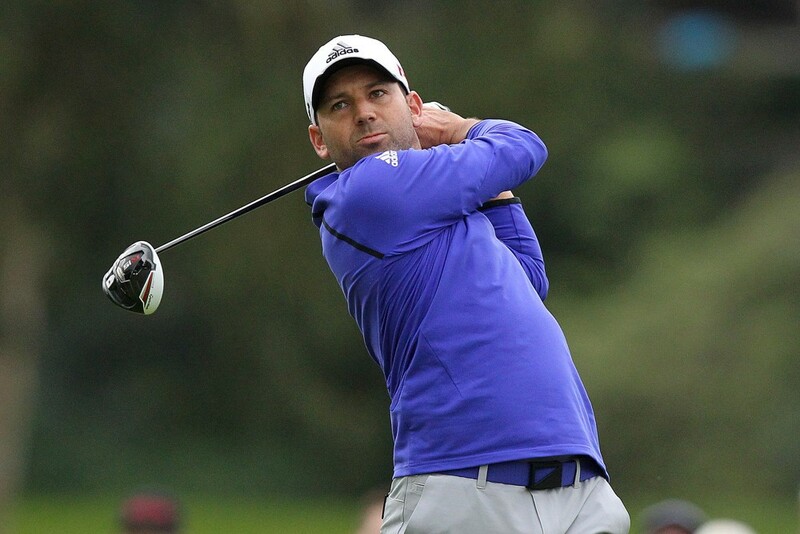 Sergio Garcia $9,600 (THU p.m./FRI a.m.) – 24th in driving distance and is a bit underpriced. He’s finished no worse than T31 this year. Russell Henley $7,000 (THU p.m./FRI a.m.) – One of the best picks on the odds per dollar tab. He’s also 37th in driving distance and 31st in birdie or better percentage. 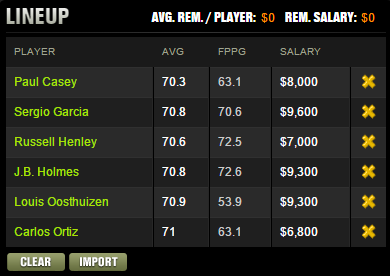 Henley hasn’t missed a cut yet either, which is a great sign for someone at $7,000. J.B. Holmes $9,300 (THU p.m./FRI a.m.) – Holmes did miss the cut by a shot at the Arnold Palmer Invitational, but he’s finished 2nd, T22 and T10 in the three previous events. But obviously where we like Holmes the most is that he’s 11th in driving distance and sixth in birdie or better percentage. Louis Oosthuizen $9,300 (THU a.m./FRI p.m.) – One of the best picks for odds per dollar. DraftKings doesn’t factor in non PGA Tour events, and Oosthuizen has finished no worse than T7 in his last four European Tour events. He also finished T9 at the Arnold Palmer Invitational, so it looks like the South African has gotten over his injuries and playing some of his best golf. Remember, this is the same guy who won the 2011 Open Championship and lost to Bubba Watson in the 2012 Masters playoff. Oosthuizen isn’t eligible for PGA stats yet, but he’s averaging 309.5 yards on the European Tour this season, which would be third on the PGA Tour list. One of the top plays. Carlos Ortiz $6,800 (THU p.m./FRI a.m.) – Ortiz is the fill-in play, but he actually fits the criteria perfectly while using all the salary. He’s 33rd in driving distance and 35th in birdie or better percentage. Ortiz also have five finishes of T21 or better this season and is playing well as of late.